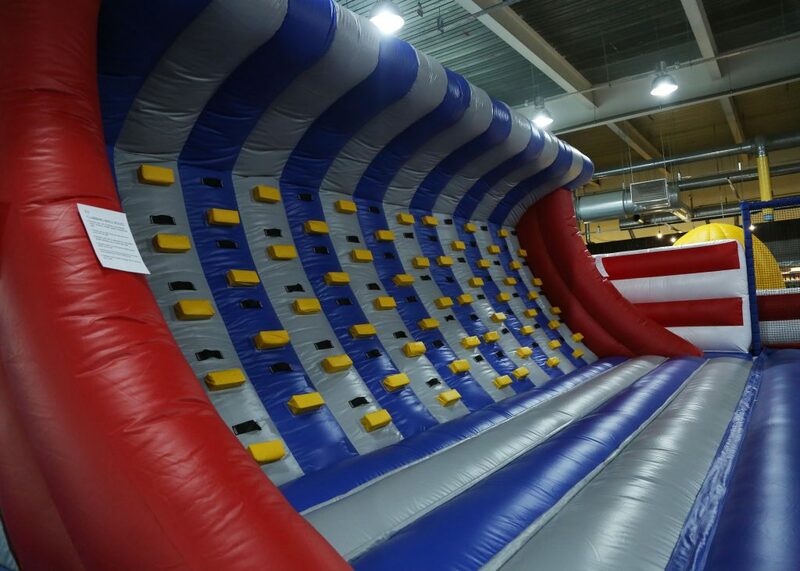 Our park is approximately 15,000 square feet, it includes a giant open bounce area with a surrounding inflatable obstacle course. 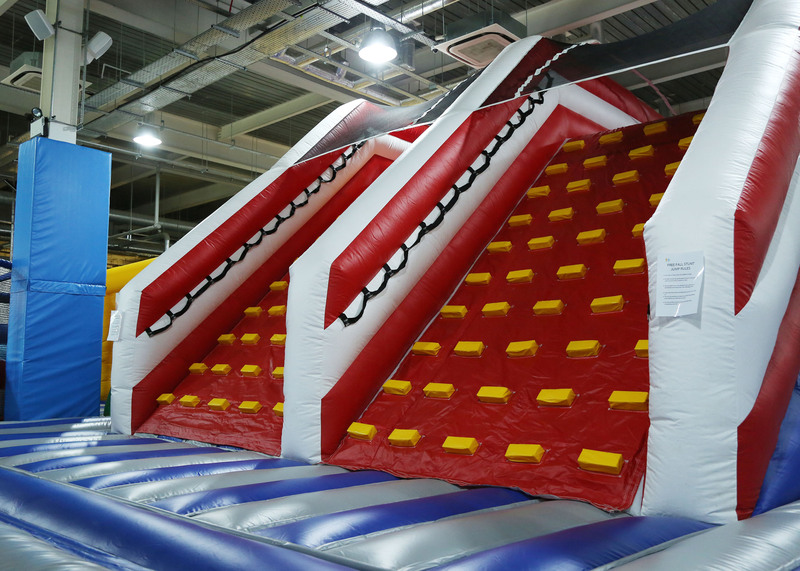 We also have several slides and even a cliff edge drop! A smaller play area is available for those under the age of 4, which contains multiple interactive features. 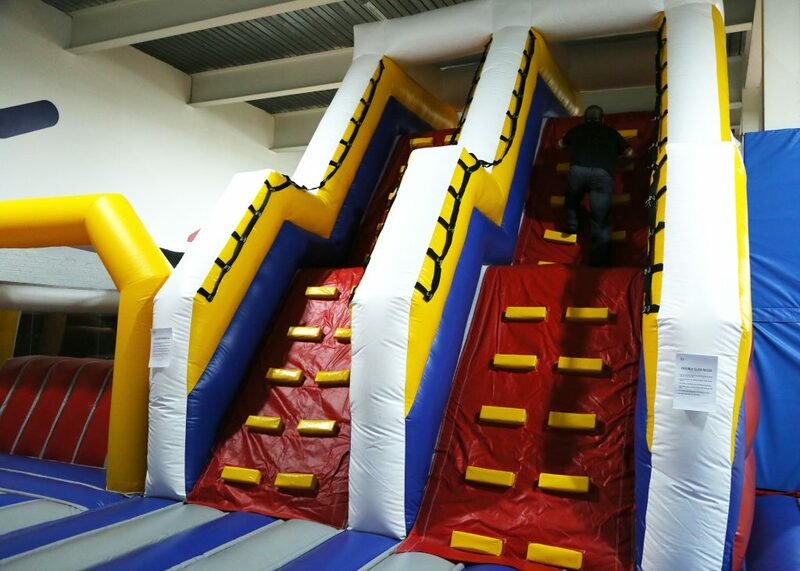 Funzy offers an alternative environment for family celebrations, corporate days out and team building events, hosted by our experienced Party Hosts in our fully decorated Party Room. 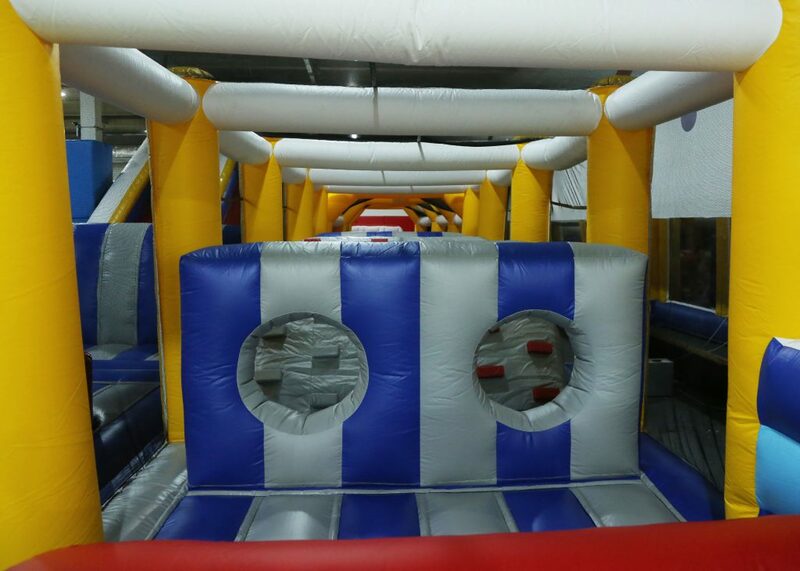 Enjoy an exhilarating experience on our inflatable park for 1 hour before having your party lead to the party room where you will have a feast on delicious party food. Please note that we have a variety of party packages to choose from, please contact our front of house staff on 01274 307130 for more information. Relax and take some time out in our spacious cafe area. We offer a variety of hot and cold drinks, including speciality coffees as well as milkshakes and slushes for the younger ones. We also stock the finest halal hot dogs, sandwiches and tasty nachos. 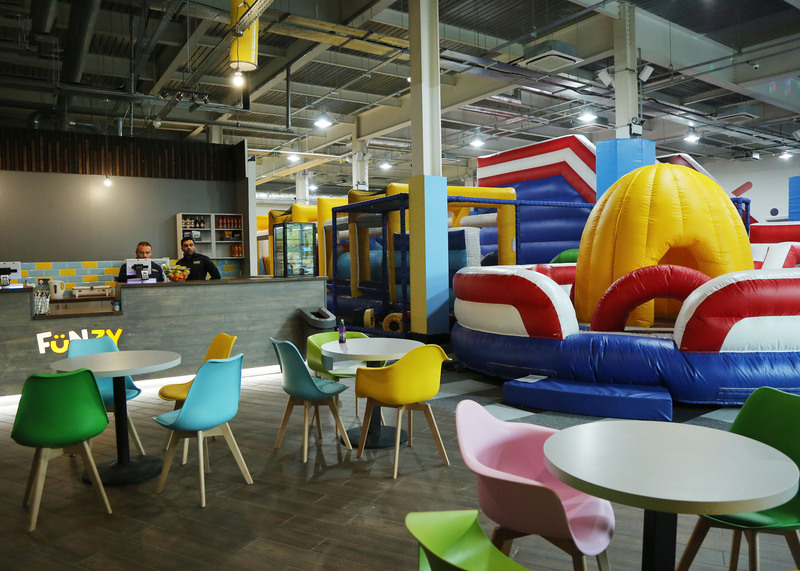 Funzy has opened its doors to the 2.2 million people in West Yorkshire, providing a unique attraction for all the family. We are located at Leisure Exchange Bradford allowing easy access by bus, train and car. 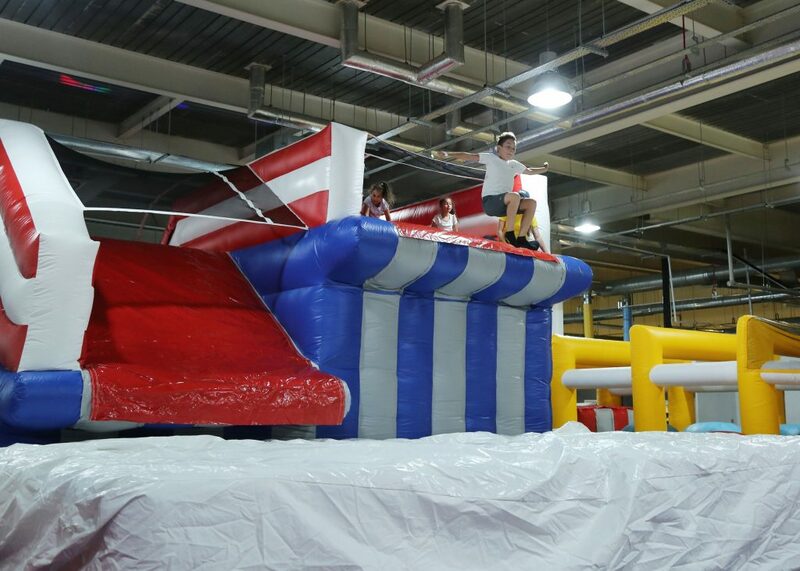 With an eye-catching and attractive layout, our indoor inflatable theme park is specifically designed so it is suitable for all ages and fitness levels for family fun. 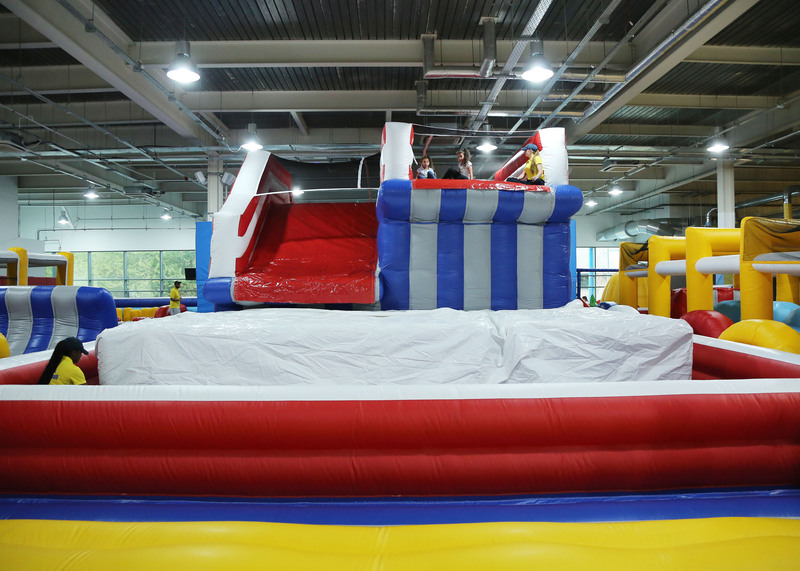 This one of a kind Indoor inflatable theme park provides a safe environment for active children, teenagers and adults during inclement weather or when the temperature is too hot or cold for outdoor activity.